Want to learn how to start a fashion blog? If you love all things fashion, it only makes sense to share your passion with the world. Plus, the fact that fashion blogs are wildly popular right now doesn’t hurt, right? Plus, it’s more attainable than you might think. While I’m not trying to say you’ll be an overnight success, the actual fixed costs for a fashion blog are pretty low. Depending on how much you want to invest, you can get started for as little as $50-60 for your entire first year. By that, I mean that while you will certainly have to pour in sweat equity if you want to become popular, you don’t actually need to spend that much money outside the sweat equity. Web hosting – this is the engine that actually powers your website. It costs money, but is an absolute necessity if you want to have full control over your fashion blog. A domain name – this is how people will find your fashion blog. And it also gives you a chance to brand your blog. To help you pick, you can use one of the many blog name generators. 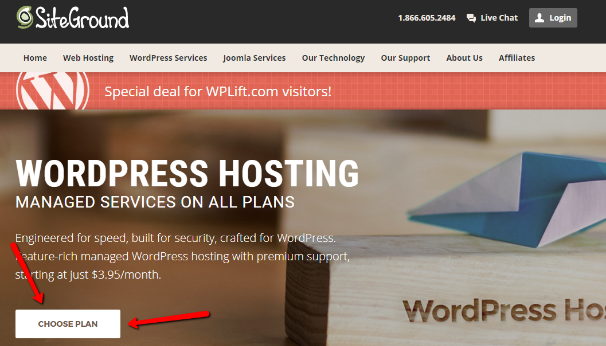 WordPress.org software – the world’s most popular tool for creating a website. Best of all, it’s 100% free! Note – this is different than WordPress.com. They are NOT the same. A WordPress theme – this dictates how your fashion blog looks. You’ll want to pick one that matches your style. Some helpful WordPress plugins – these help add cool functionality to your fashion blog. Of course, you’ll also need the drive and passion to post consistently even when the traffic numbers don’t look great. It will take you time to build a following, so if you can’t deal with some dry times at the beginning, blogging might not be for you. If you think you’ve got what it takes to be a fashion blogger, keep reading and I’ll show you how to get set up! 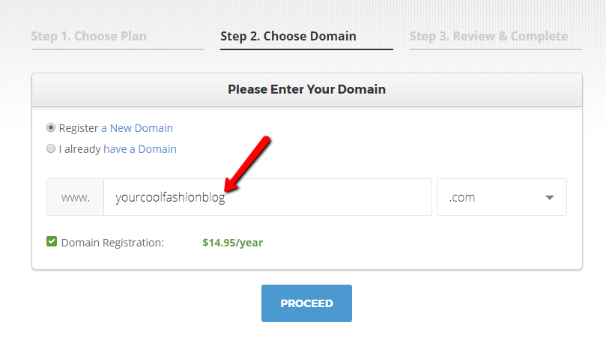 As I mentioned, to get your fashion blog up and running, you’ll need a domain name and something called web hosting. For hosting, we recommend a company called SiteGround. 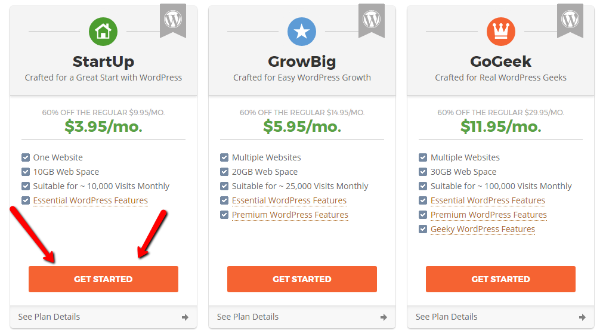 SiteGround is where we host this site, so you can trust that we truly believe it’s the best host for most WordPress users. Once you’ve done that, finish out the payment process and you’re almost finished! The first time you log in to your SiteGround dashboard after paying for your hosting, you’ll see the handy Website Setup Wizard. The wizard is simple to use – just follow along with the steps. 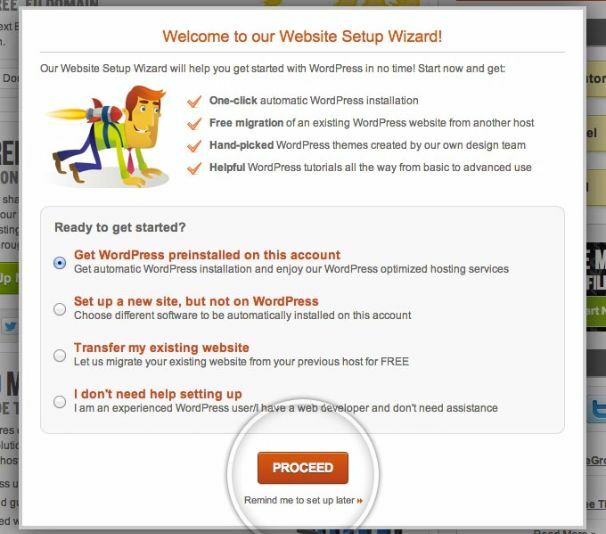 Once you finish the wizard, you should have a working WordPress website, as well as details to log in to your brand new WordPress site. Next up – you need to choose a WordPress fashion theme to give your site a unique look. A WordPress theme is basically your site’s “clothes”. That is, it doesn’t affect how your site functions – it just changes how it looks. There are tens of thousands of both free and premium WordPress themes, so it can be hard to wade through all of your options to find the perfect fashion theme. Applique is a flexible fashion blog theme that can work for a variety of aesthetics. While I chose my favorite style above, you can choose from a number of different looks for your fashion blog. 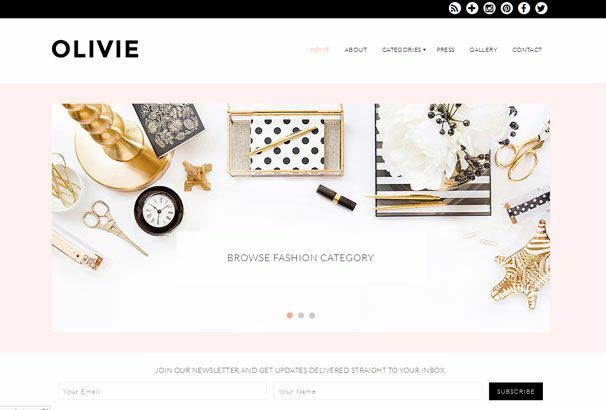 Olivie is a nice minimalist theme from Bluchic, the creators of a number of different themes that can work well for fashion blogs. 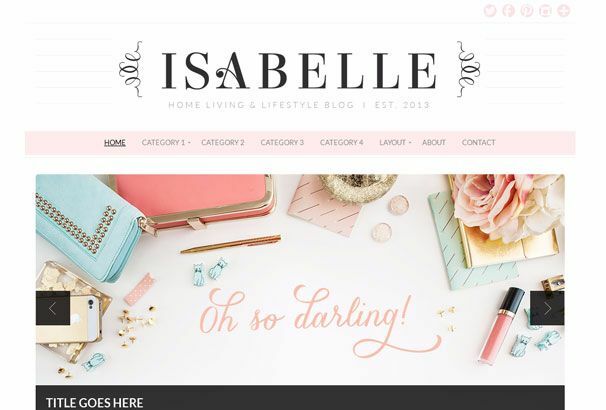 Isabelle is another theme from Bluchic with a slightly different design aesthetic. Really, if you’re interested in quality fashion themes, I just recommend you check out the whole Bluchic collection. 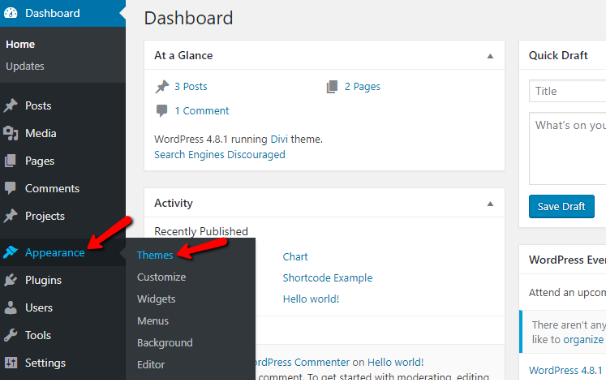 Once you find a WordPress theme that you absolutely love, you’ll need to install it on your WordPress site. While WordPress themes mainly deal with how your site looks, WordPress plugins add functionality to your site. Sometimes this functionality is just a tiny thing, and sometimes it can be something huge like adding an entire web store. There are thousands of plugins out there, so it’s hard to narrow things down to just plugins for fashion bloggers. Again, the sky’s the limit here! 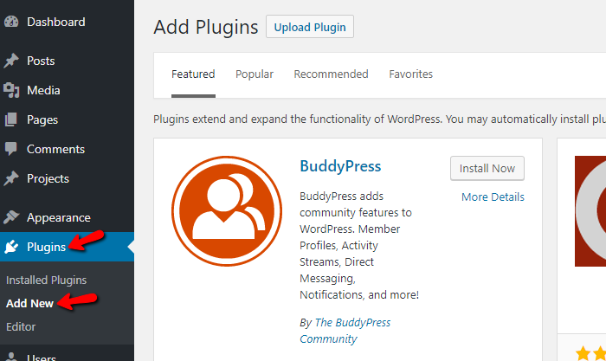 You can also search on WordPress.org or Google to find other cool plugins for your site. While there’s not technically a limit on how many plugins you can use, a good rule of thumb is to try to keep the number as small as possible. Of course, you’ll still need to post amazing content and grow your audience. But the technical work is over – now you get to focus on fashion!